kids are supposed to say the darndest things, not brush with them. globally sourced ingredients and made in the usa. say goodbye to brush time negotiations, and hello to our fluoride free natural watermelon toothpaste for kids. it tastes so delicious, kids will rush to brush. best of all, while young mouths are having a blast, the paste is whitening, brightening, and removing plaque. we put in soothing aloe vera, along with erythritol and xylitol – natural sweeteners that prevent bacteria from sticking to teeth. the taste is fab, the results fantastic. our kids natural watermelon toothpaste is also free from sls/sulfates, artificial sweeteners, dyes, artificial flavors, microbeads, triclosan, parabens, and gluten. plus, we never test on animals, and our paste is free from those pesky watermelon seeds. bonus. sorbitol (humectant), hydrated silica (polishes and cleans teeth), purified water, vegetable glycerin (soothes and moisturizes), aloe vera gel (soothes and moisturizes), xylitol (sweetener), erythritol (sweetener), natural flavor (yum), xanthan gum (thickener), lauryl glucoside (coconut/palm and corn derived cleanser), calcium glycerophosphate (mineral), titanium dioxide (mineral), potassium sorbate (maintains stability) and stevia rebaudiana leaf extract (sweetener). 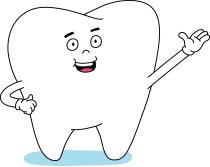 brush teeth thoroughly to clean and help remove plaque, preferably after each meal or at least twice per day, or as directed by a dentist or physician. smile often. repeat. helps remove plaque with regular brushing. thoughtfully formulated with high quality ingredients like xylitol and erythritol and soothing aloe. fluoride free, sulfate free, alcohol free. 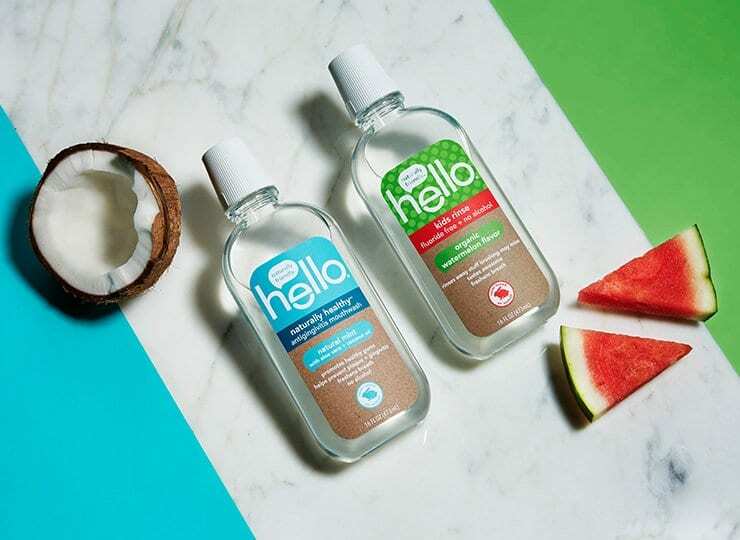 organic watermelon flavor, soothing aloe vera and xylitol cleans, freshens and tastes delicious. bonus, hello fluoride free and alcohol free rinse is safe if accidentally swallowed. 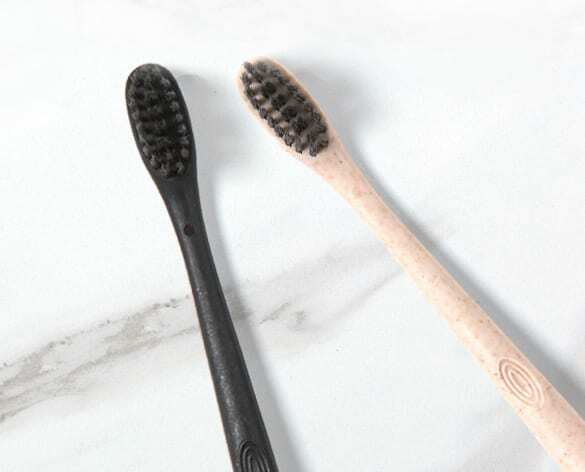 free toothbrush with every subscription order! the american dental association (ada) recommends you replace your toothbrush every 90 days, or sooner if the bristles are frayed. we couldn’t agree more, and that’s why we include one of our seriously friendly toothbrushes free with each and every tube when you subscribe. Rated 5 out of 5 by Elle Memphis from It works! Got this yesterday at my local Kroger. This is the only item out of several brands, including half a dozen alternative brands, that contains fluoride but lacks the other nasties, triclosan & sls. I used it today & my teeth didn't hurt at all during the brushing, which hasn't happened in months! Name brand products for sensitivity just don't work, & the mouth irritation & peeling tissue are just intolerable. Thank you so much for this smart product that contains the fluoride necessary to aid in prevention of tooth disease. All the other "health" products carried by Kroger lack fluoride. I wish you success & hope you're in business for a long time. Rated 5 out of 5 by TingsMom from Perfect for the entire family! I feel like I could leave a 5-star on every toothpaste version, but I'm going to start here because this was the first formula I tried. I suffer from very sensitive teeth and have had years of trouble finding a toothpaste that didn't make my cleaning process painful. I gave this a try when I saw it on my local store's shelf and I have never looked back. I have zero pain when I brush, but more importantly my teeth have never felt this clean from a home brushing. My teeth feel great, they sparkle again, and they are getting whiter. We now have every formula at our house to meet all our individual needs. This fits perfect in our natural lifestyle and I feel good knowing the dentist is going to be impressed. Rated 5 out of 5 by Alexinhorror from Amazing Toothpaste I struggle a lot with toothpastes being very strong in mint flavors, or more the chemicals put into them that makes it hard for me to brush as long as I need. I also have sensitive teeth, that some sensitivity toothpastes could help, but the mint just killed my mouth. I was using a kids toothpaste to brush my teeth for the past few months until I found this at Walmart. Without all the usual chemicals, I can handle the toothpaste and the mint isn't overly powerful either. It helped my teeth in a matter of 3 days with the sensitivity. I love this so much. Rated 5 out of 5 by SweetAmbrosia from Surprisingly Good I received a sample of this in the mail. 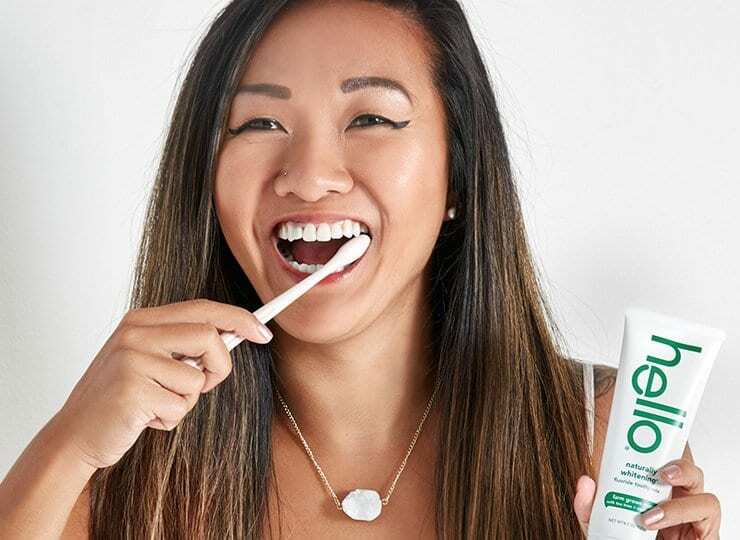 I've used it quite a few times and I am surprised by how clean it's not only made my teeth but how it's been able to keep them cleaner than most other toothpaste I've used. I work in a bakery so sometimes I eat sweets I'm not supposed to. At the end of the day, I don't have that feeling of sugar on my teeth like I usually do. They're still smooth and feel good. The fact that this actually does help with my tooth sensitivity is a major bonus. I haven't had any sensitivity problems since I've been using this. Rated 5 out of 5 by lramirez from Wonderful! 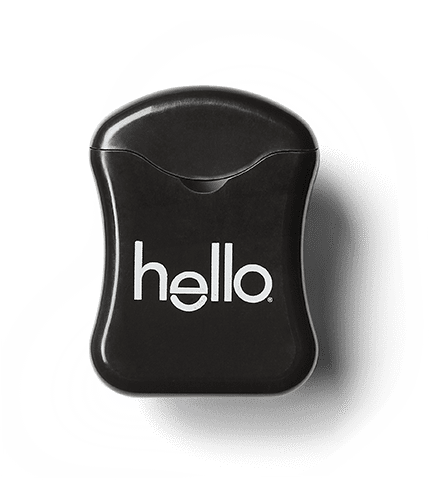 I'm proud to write my first-ever toothpaste review for Hello Sensitivity and to support the brand. It never occurred to me until I saw Hello's post on Instagram about triclosan that I had been entirely unaware of the ingredients in the toothpaste I've been using daily for my entire life! 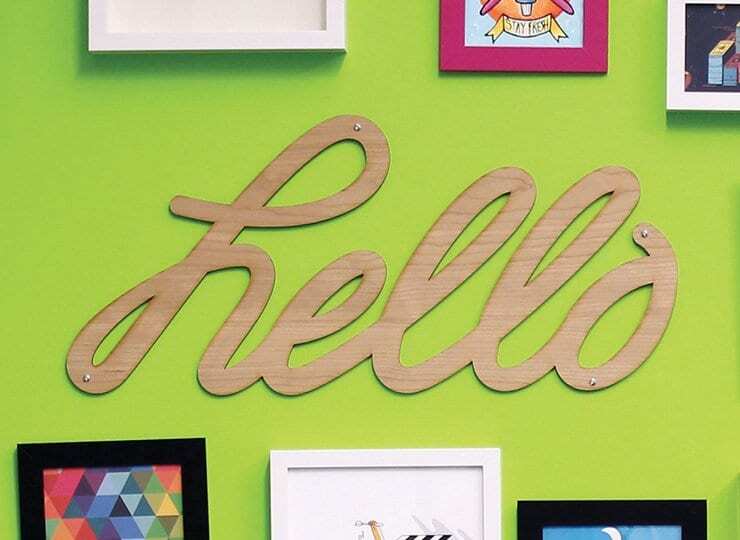 Keep producing amazing, wholesome products and maintaining a stellar Instagram presence! Not only does this product taste great, the product itself looks great, too. Toothpaste shouldn't be stuffed away in a cabinet out of sight--it deserves to be admired! 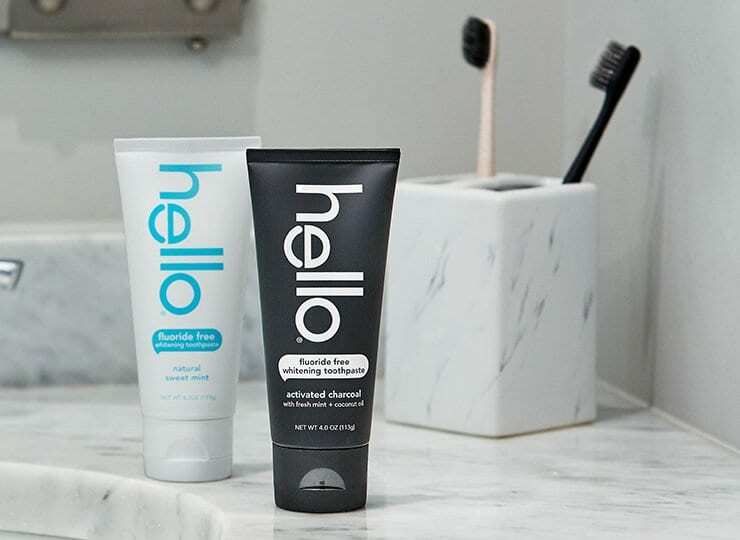 Rated 5 out of 5 by Sherrxoxo from Works great I received a free sample of this Hello sensitive teeth toothpaste and was a little sceptical at first. Honestly, it just doesn't lather up like most toothpaste do. I kept using it even though it felt a little different and it really does work! It does help with teeth sensitivity and seems to make my teeth a little brighter/whiter also. Maybe because of the coconut oil in it? This is definitely something I want to buy before I run out of the sample! I highly recommend to anyone who has teeth sensitivity! It works wonderfully! Rated 5 out of 5 by Jeana85 from My new brand! I want to say that I absolutely LOVE LOVE LOVE this toothpaste!! I received a sample of this at work and was told by a coworker it was great. I purchase the pronamel because my teeth are extremely sensitive and due to braces as a kid, my gums are receding. This, for me, is much much MUCH better!! And at a lower price point, with better results and a continuous clean feeling, I'm an official toothpaste convert! itbalso keeps my mouth from feeling dry, and doesn't dry out my lips either. Would 100% recommend this for everyone!! sensitivity relief fluoride is rated 4.9 out of 5 by 70.
would you like to keep shopping some of our best sellers? 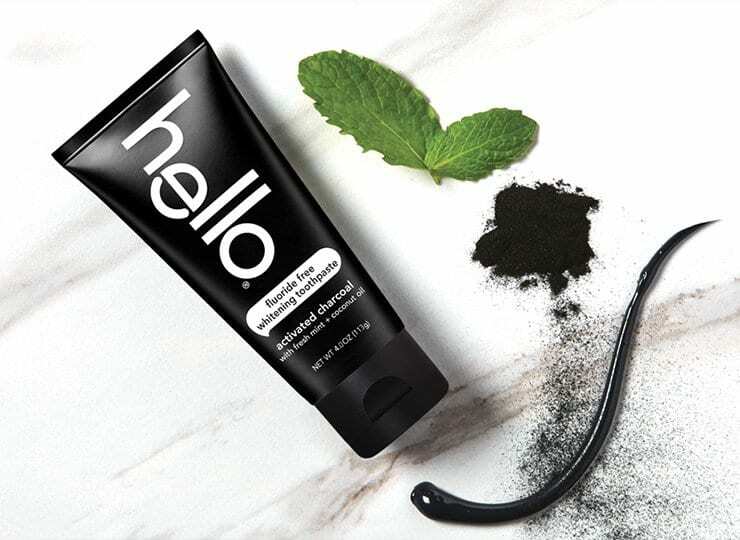 just in case you missed the beautiful image over there, here’s the name of this puppy: hello® activated charcoal fluoride free whitening toothpaste with fresh mint + coconut oil. it’s simple, black paste = white teeth. black, white, and friendly all over. now with fluoride. 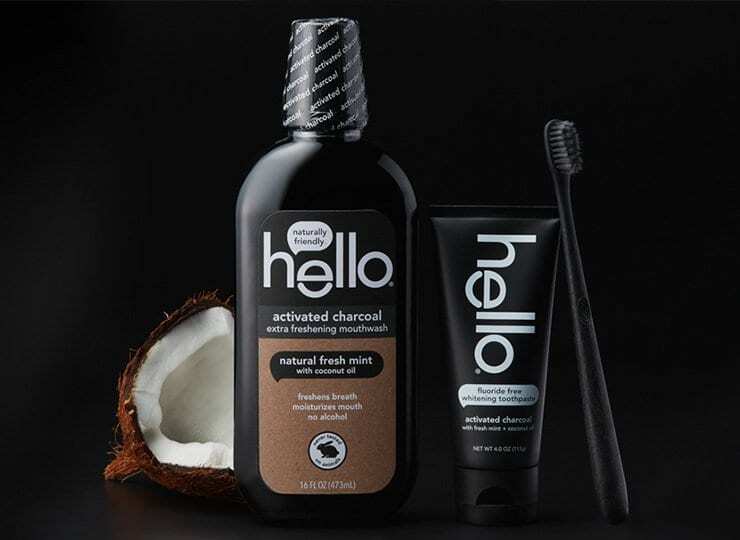 hello® activated charcoal epic whitening fluoride toothpaste with fresh mint + coconut oil.